In 2013, the Dominican Republic's Constitutional Tribunal issued decision 168-13; what many around the word now simply call "La Sentencia," declaring that anyone born on Dominican soil after 1929 to parents in an irregular manner, or "in transit," was not a Dominican citizen. The Tribunal's decision, based on Spanish and Colombian precedent, and which like a Supreme Court decision in the United States cannot be appealed, affected over 250,000 people of Haitian descent, many of whom had grown up considering themselves to be Dominican citizens, with some even having passports and playing for the country's national teams. Although La Sentencia's application on a mass scale would have meant that people who once considered themselves Dominican citizens were to face immediate deportation, the Dominican Congress passed law 169-14, giving legal status to anyone who could prove birth and a substantial connection to the country. That legal status, however, was only granted for 1-2 years, and the 18th of July has become a dreaded date, with many fearing a storm in August of this year. 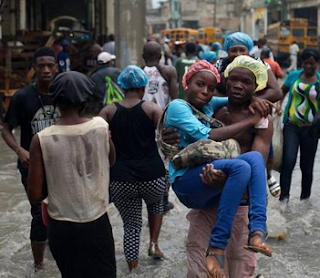 Since 2013, over 120,000 people of Haitian descent have voluntarily left the Dominican Republic, fearing violence were they to remain unlawfully. Now, it is not exactly clear how stern the Dominican government will be in implementing what some have called the strictest immigration and citizenship laws in the world. According to Listin Diario, a large-circulation daily in the Dominican Republic, the 130,000 individuals who must renew their residence permits are expected to provide a medical certificate, and they each must pay 14,000 pesos (about 300 dollars,) a substantial sum for a working-class family in the Dominican Republic, and an even more substantial sum when it means a family of 5 having to pay 1,500 dollars in order to remain in the country where they were born, a sum which is in addition to bribes which must be paid to Haitian officials in order to acquire Haitian documentation. Those with money will be able to remain in the Dominican Republic, but any poor Haitian family can now consider its fate to be sealed.